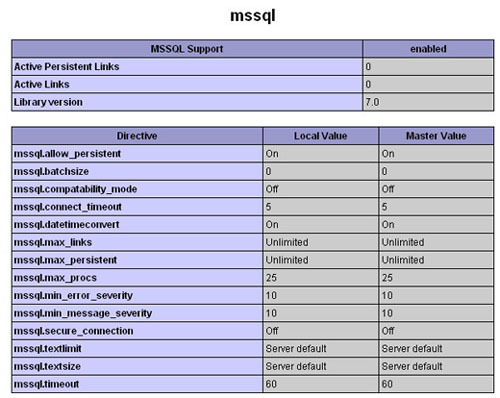 To check the PHP support for MSSQL we can use the function phpinfo(). To enable MSSQL support we have to uncomment the this line inside php.ini file. If the support exists then you will get the details like this below.